When I think about my visit to St. Mark’s Basilica in Venice, Italy, I remember the bright mosaics which adorned its interior and arches. These mosaics contain gold, bronze, and a variety of precious stones. So, I decided to use gold Delicas for my beaded mosaics! 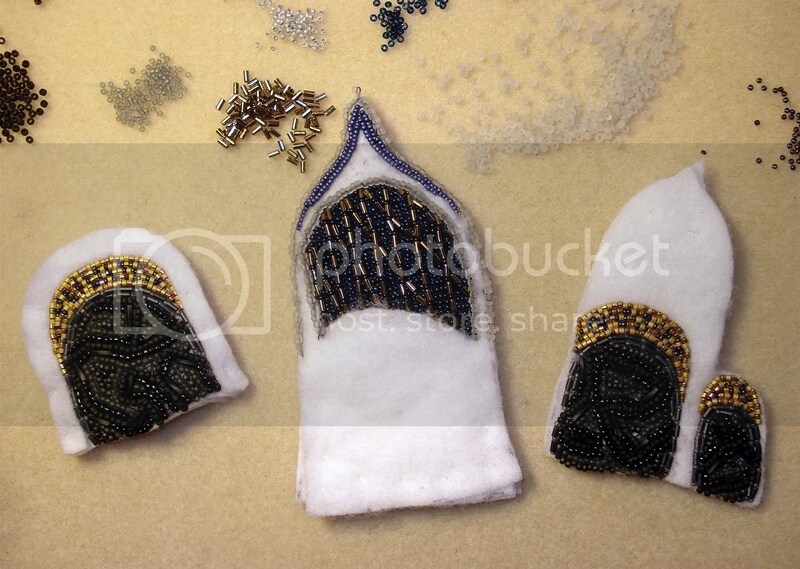 I used Matte 24K Gold & 24K Gold Iris seed beads as well as 13/0 blue charlottes. 24K gold plated seed beads are much more expensive than regular seed beads – about 3 times the price (approx. $13 – $17/5 grams) – but in this case I think it’s worth it. I still have a few more gold mosaic arches to bead on the upper level, but so far, I like it! 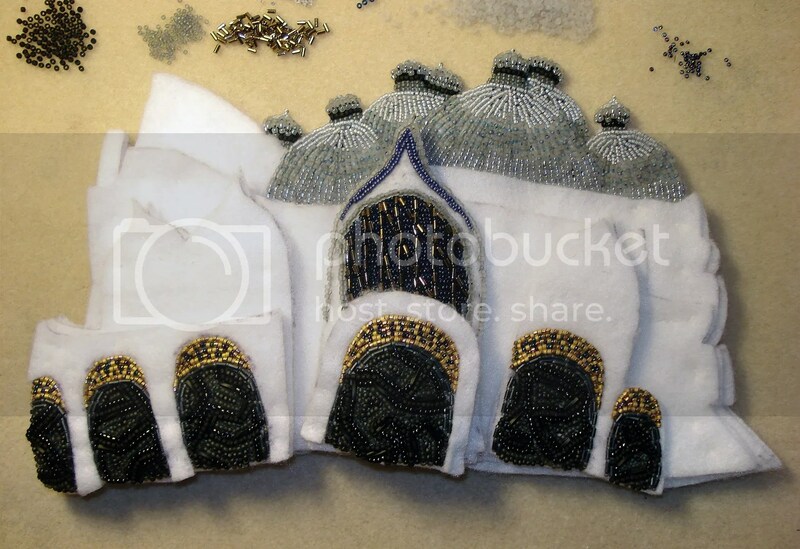 How do you think my beaded Basilica looks so far?